Mrs. Ibukun Awosika is a graduate of Chemistry from the University of Ife (now Obafemi Awolowo University, Ile-Ife). She is also an alumina of the Chief Executive Programme of Lagos Business School as well as the Global Executive MBA Programme of the prestigious IESE Business School, Barcelona, Spain. She is the founder of The Chair Centre Ltd, a market leader in the office furniture and banking security systems industries. In 2005, she was appointed the MD/CEO of Sokoa Chair Centre Ltd, a joint-venture company she promoted with Sokoa S.A of France, Guaranty Trust Bank Plc, The Chair Centre Ltd, and some local investors after the ban on importation of furniture by the federal government of Nigeria in 2004. In addition, she independently established another ultra-modern furniture facility, Furniture Manufacturers’ Mart, in Ikeja, Lagos in the latter part of 2006. She is the host of the popular TV programme, Business – His Way, where she teaches the business community ethical business principles based on the Word of God. She is the Chairman of Afterschool Graduate Development Centre (AGDC), a national career center in Lagos, Nigeria, which was set up in September 2007 to address the high rates of unemployment in the country by making Nigerian graduates employable and good assets to the Nigerian economy. Osaro is one of the Founding Partners of Perchstone & Graeys. He is also the Managing Partner of the firm and currently leads its Dispute Resolution and Banking & Finance Group. He was admitted to practice in England and Wales in 1989 and later admitted to practice in Nigeria in 1991. He is renowned for the depth of his knowledge of the law and has, over the course of his career, distinguished himself in a string of notable cases. Over the course of his career Osaro has been opportune to develop competence in various specialized fields, including Oil & Gas, Maritime, Intellectual Property, Bankruptcy & Insolvency, and Constitutional and Electoral matters. This has resulted from his having worked in a few renowned firms before putting up practice in Perchstone & Graeys. His diverse and robust background therefore gives him sufficient experience required to proffer dynamic and flexible advice to clients, particularly with respect to contentious and non-contentious legal issues. His ability to render useful and practical advice on matters ranging from Oil & Gas, to Constitutional matters and banking and finance, is a rare quality that clients often find extremely refreshing, particularly with respect to the nature of their requirements in today’s complex business world invariably cutting across multiple sectors. In recognition of his diligence, passion and contribution to the legal profession, he was conferred with the prestigious rank of Senior Advocate of Nigeria in 2008. On account of his extensive experience in dispute resolution in commercial matters particularly as it pertains to Banking & Finance, he was inevitably appointed to lead a team of lawyers to develop the Banking & Finance practice group in the Firm, which is now acknowledged as one of the best in the industry. 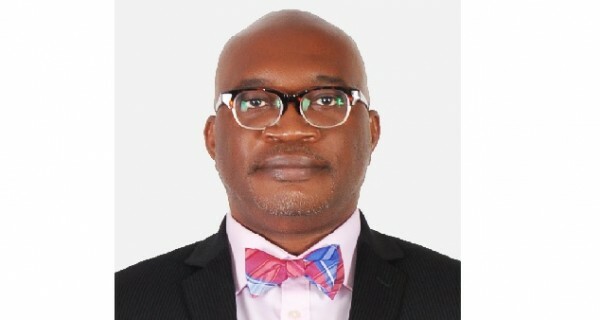 He was a member of the Lagos State Trust Law Reform Committee and is a member of the Mortgage Implementation Committee of the Financial System Strategy (FSS 2020). He also participated in the review of pending Bills in the financial sector which was organized by the Project Management Office of the FSS 2020 and serves as chairman of the sub-committee set up to review the proposed amendment to the Asset Management Corporation Act and the proposed Bill for a regulatory framework for Securitization and Asset Backed Securities on behalf of the Legal Implementation Committee. Prof. Yemi Osinbajo, SAN became the Attorney General and Commissioner for Justice in Lagos State in 1999. Prior to that, he was a partner at the Law Firm of Osinbajo, Kukoyi & Adopaye, and Professor of Law and Head of Department of Public Law (1997 – 1999) at the University of Lagos. Prof. Osinbajo has served as the Special Advisor to the Attorney- General of the Federation and Minister of Justice (1988 – 1991) He has provided expertise and consulted with a wide range of development organizations such as the United Nations, United Nations Centre on Transnational Corporations/ United Nations Development Programme, United Nations African Institute for Crime Prevention and ECOWAS. He and Mr. Olusoji Apampa founded INTEGRITY, the umbrella organization of The Convention on Business Integrity. Soji Apampa co-founded The Convention on Business Integrity in 1997. He is an Executive Director for the Convention on Business Integrity and also serves as a Consultant on CBi projects. Mr. Apampa has served as a Senior Advisor to the UN Global Compact on the 10th Principle (anti-corruption) and consultant to the Inter-Agency Task Team of the Federal Republic of Nigeria tasked with the responsibility of developing a National Strategy to Combat Corruption. In his role as a consultant, Mr. Apampa has carried out numerous assignments for international organizations including the World Bank, DFID, UNDP, UN Global Compact, Heinrich Boell Foundation and many others. Mr. Apampa has also worked in various roles in engineering, business and computing between 1987 and 2007. He was Managing Director of SAP Nigeria Ltd, and Regional Manager (West Africa), for SAP where he worked for 8 years since early 1999 championing ICT-supported governance reforms. Mr. Apampa graduated with a B.Eng. (Hons) in Civil & Structural Engineering from the University of Sheffield in 1987 and holds an MSc. in Governance & Finance from Liverpool John Moores University (2008) where he was member of faculty on the Corporate Governance Masters Programme at the European Center for Corporate Governance for one year. His research interests are in the area of Corporate Compliance and Political Economy Analyses in which he has led numerous, successful research projects. Mrs. Oshuwa Gbadebo-Smith holds a Master’s in Public Administration in International Development from Harvard University, and is a highly qualified consultant with specialist expertise in the areas of corporate and public sector governance reform. She offers expert consultancy services in the areas of policy and strategy formulation, public sector reform, expenditure management, governance and economic development, anti-corruption measures and change management. Oshuwa’s work experience as a policy adviser and in strategy management includes supporting and advising states and local governments on development policies which are linked to outcomes, and output targets that are specific, measurable, achievable, reliable, time-bound ensuring social inclusion (SMARTSI); the output targets are linked to strategies and costed plans. Oshuwa previously developed and reviewed indicators for policy benchmarking and service delivery processes for the DFID funded State and Local Government Programme (SLGP) and now State Partnership for Accountability, Responsiveness and Capability Programme (SPARC). She recently concluded a series of Policy and Strategy baseline studies for SPARC in four states in Nigeria; facilitated Policy and Strategy (P&S) self-assessment using the SEAT (Public Expenditure Financial Assessment) tool in three states and also developed P&S change matrix, change programme, change plans and designed performance indicators for two states in Nigeria for the DFID funded SPARC programme. She supported Lagos State in the development of Lagos State Vision 20: 2020. Oshuwa is currently leading the Policy and Strategy teams providing support to Lagos State for the development of their respective State Development Plan in the medium term and its Medium Term Sectorial Strategies while she is the national consultant supporting the establishment of the Economic Intelligence Unit, Ministry of Economic Planning of Lagos State. Dr. Bala Magaji holds degrees in economics, banking and management (BSc – Econs, MSc – Banking and Finance, and PhD – Management). He worked in several banking institutions for about a decade and rose to be a senior manager before setting up shop as a financial and management consultant to many public as well as private organizations especially multilateral and multinational institutions. He also joined Ahmadu Bello University in 2003 as a full time lecturer specializing in finance and management turn around/restructuring. Dr. Magaji has undertaken several key assignments with CBi and excels at building and developing effective networks. He has a deep understanding of the economics of deprivation. He has leveraged his background in banking on our projects by brokering effective partnerships. Dr Magaji is a keen entrepreneur himself and runs a successful commodities trading outfit. Described by a leading African newsweekly as “a leading member of the new generation of African legal minds” by Oxford University’s Ike Okonta as “one of Africa’s leading human rights lawyers”, Chidi Anselm Odinkalu heads the Africa Programme of the Open Society Justice Initiative and is the immediate past chairman of the National Human Rights Commission. Admitted to the Nigerian Bar in November 1988, Odinkalu received his Ph.D. in law from the London School of Economics and Political Science (LSE); his Masters Degree in la from the University of Lagos and his first degree also in Law from the then Imo State University, percusssor of today’s Abia State University. Following the annulment of the June 12 1993 presidential elections in Nigeria, Odinkalu, a principal mover in the civil society response to the annulment as the then legal Director of the Civil Liberties Organisation (CLO), was exiled to the United Kingdom where he pioneered the Africa and Middle East Programme of the International Centre for the Legal Protection of Human Rights, INTERIGHTS. The author of four books and over 60 other scholarly articles, Odinkalu is widely known as an authority on international law, including human rights, international institutional law and international economic laws affecting African countries. He is a visiting Professor of law at the International Criminal Law Centre at the Open University of Tanzania, and was formerly Jeremiah Smith Jr. visiting Professor of Laws at the Harvard Law School in Cambridge Massachusetts and Brandeis International Fellow at the International Centre for Ethics, Justice and Public Life at the Brandeis University in Waltham, Massachusetts. Toki Mabogunje is a business consultant interested in the growth of small and medium enterprises on the African continent. Toki Mabogunje has a degree in Law from the University of Ife, now Obafemi Awolowo University Nigeria, an LLM in International Business Law from the University of Exeter, England, Executive Management Training in Strategic Organization and Management from Stanford University Graduate School of Business, California, United States of America, training in SME Policy Design and Project Implementation from the ILO Training Center in Turin, Italy, Value Chain Development Training from MDF in the Netherlands, Enterprise Development through value chains and business service markets from the ILO International Training Center, Turin, Italy and several other workshops and seminars all related to the growth and development of SMEs. Over the last 33 years, Toki has been involved in commercial and business enterprise from both a public and private sector perspective. Toki’s career began as an Assistant Legal Adviser to the Ministry of Defence. She became Senior State Counsel Mercantile and Industrial Law of the Federal Ministry of Justice, Nigeria. She provided legal advise to the Federal Government in its cross border business negotiations with other governments and commercial enterprises worldwide. Toki moved to the private sector. She worked as Group Head Legal and Corporate Affairs for a start up broadcast enterprise, which grew into a global business concern. Toki was part of a dynamic management team that grew this local broadcaster into a satellite television operation. Toki’s experience extended to other markets within Africa, Europe and the United States. She became CEO of the American subsidiary of the Group. Toki founded the firm Toki Mabogunje and Co. (TMC) in the year 2000 and over the last sixteen years brings her skills, training, expertise and experience to bear when consulting with clients seeking to grow their market share in Nigeria, Africa or elsewhere globally. Toki is active in the organized private sector in Nigeria. She is a Vice-president of the Lagos Chamber of Commerce and Industry and currently serves as the Chairperson of the Membership Committee of the Lagos Chamber of Commerce and Industry; Council Member Business Club Ikeja; former Vice-President South West NASME, Director Negotiation and Conflict Management Group (NCMG), Director Shelter Origins, Super mentor NNEW, among others.